Command, Conquer, Control! Raise armies, expand your reputation, and secure victory over your foes using Ultimate Charisma, by Everyman Gaming, LLC. 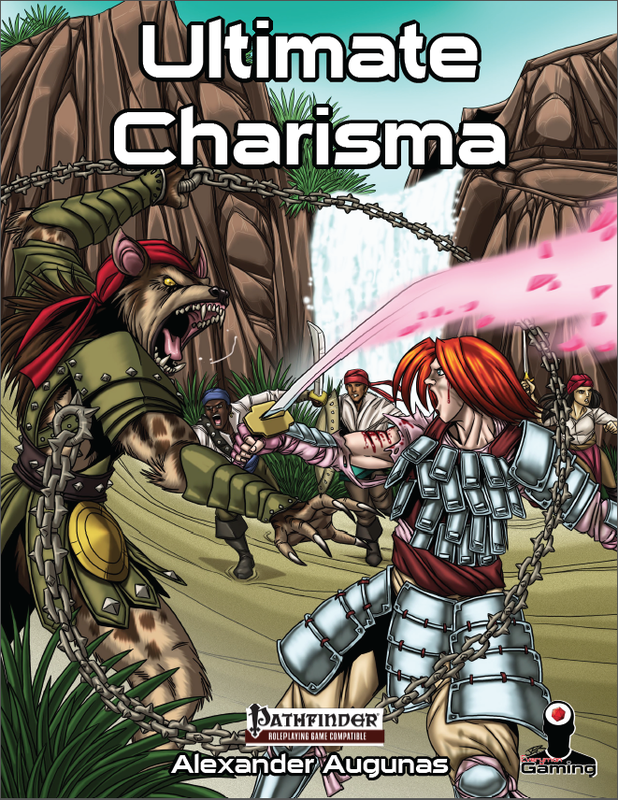 Designed for the Pathfinder Roleplaying Game, Ultimate Charisma gives GMs and players all the tools they need to put their charisma to the test as they recruit a legion of followers, exercise their leadership skills, master a variety of psychological maneuvers, and build lasting reputations and relationships to last a lifetime.